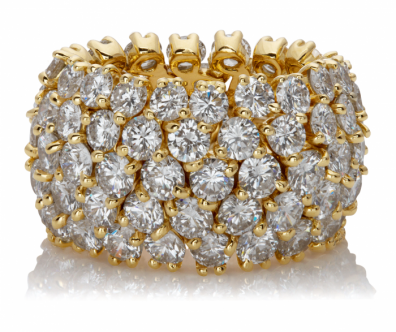 This unconventional eternity band showcases an innovative design that makes the ring flexible, giving it a sassy vibe. 18KT Diamond Eternity Flexible Band. 100 round brilliant shaped diamonds for a total carat wieght of 13.90cts.